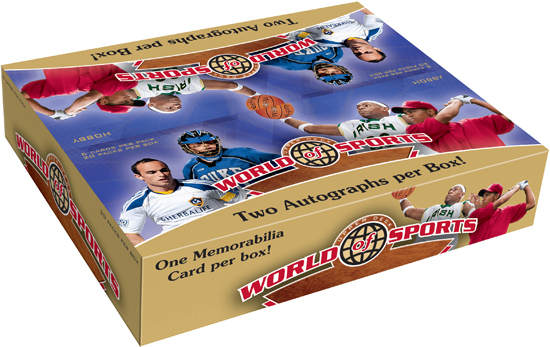 When we first previewed some of the cards in Upper Deck’s new World of Sports set, there was a lot of excitement about it from collectors because there just is not anything else like it. 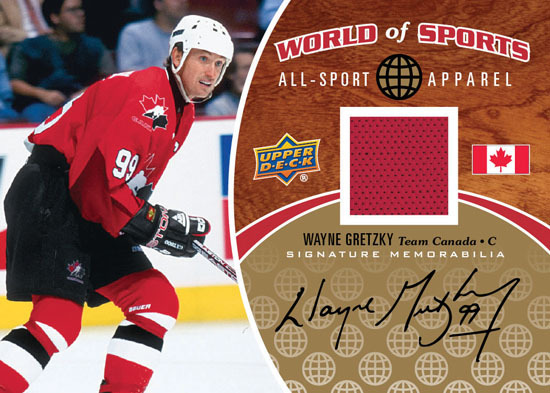 Thanks to Upper Deck’s strong stable of athletes and coaches, we are poised to bring some really incredible new cards to the hobby when World of Sport releases on Tuesday, February 8. What better way to create excitement for that set than to show off some of the different cards available in the product. 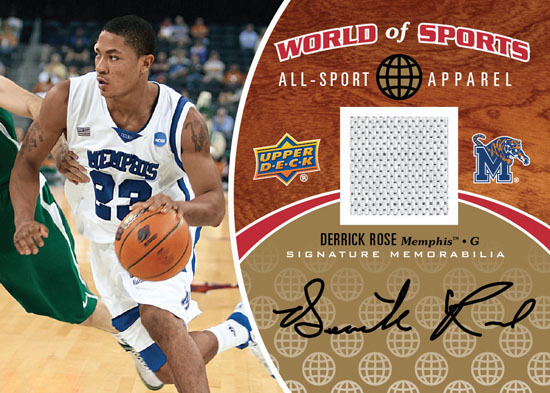 Please enjoy a sneak peek of some of the different cards available in 2011 Upper Deck World of Sport! You can see right away this is a different type of trading card product. 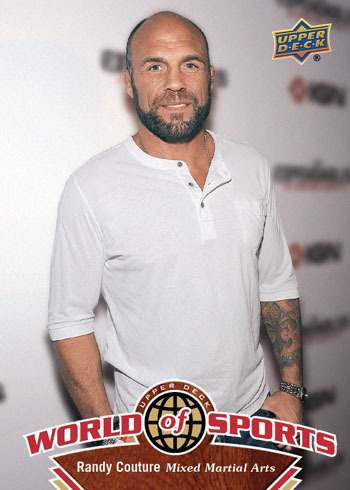 A variety of mixed martial artists will have trading cards in World of Sport, including autograph cards! 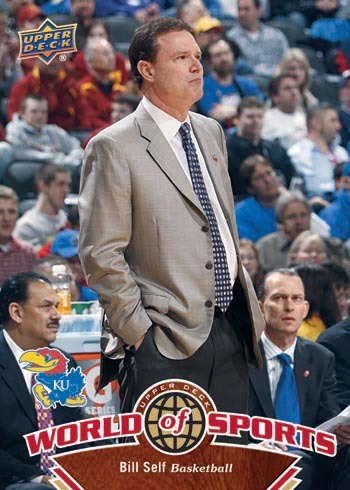 Thanks to Upper Deck's agreement with the National Association of Basketball Coaches, some big time coaches will be featured on an Upper Deck trading card for the first time. Bo Knows trading cards! 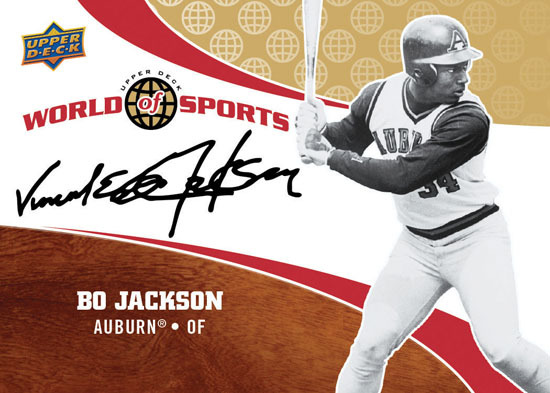 Bo Jackson and a variety of other baseball greats will be featured in the set. 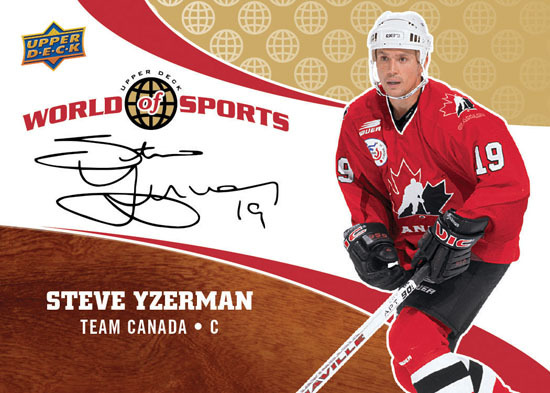 Steve Yzerman leads an All-Star cast of hockey players who will be signing in World of Sport. MVP candidate Derrick Rose and other hoop stars will be appearing in the set as well. 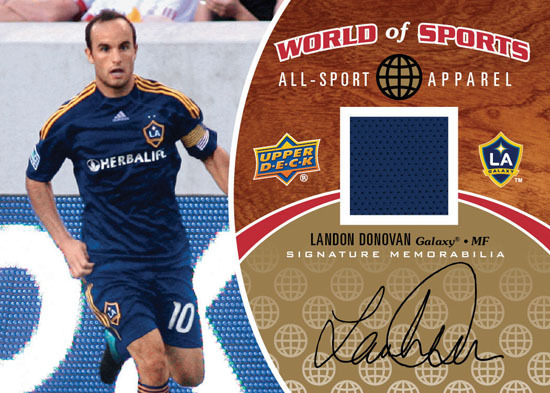 And of course we'll have some soccer stars included in the set like Landon Donovan! And you can't have a great set without the Great One included right? 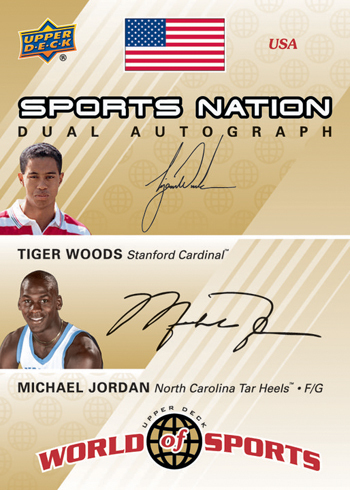 Upper Deck's two exclusive spokesmen together on one card. What a beauty! 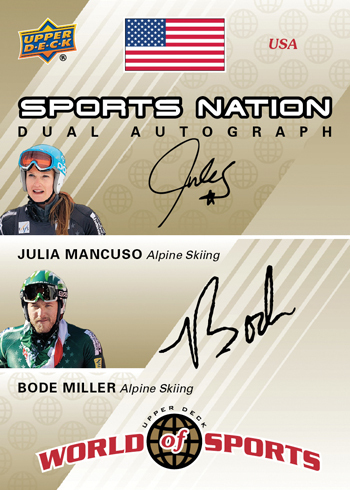 A dual autograph card of two Olympic superstars, wow! We’ve got special plans for this card that will be limited to just five copies. We want to make sure these cards get into collectors hands quickly. Look for more details on how we’ll be awarding these cards soon! No auto racing drivers in this product? Cards look good, interesting to see how the product goes over. I like it, the Idea is superb as well! Great job UD! great idea, could use somer soccer players, say pele and or nascar greats.